My inseparable flying companion for the past 12 years! Disclaimer: Even though I no longer live in the litigious jurisdiction of America, I feel it necessary to mention that I have nothing against Afrin (the nasal drops product) and nothing against Schering-Plough (the company that manufacturers it). I’ve been following this advice religiously ever since because the prospect of a ruptured ear drum or excruciating ear pain wasn’t particularly appealing. 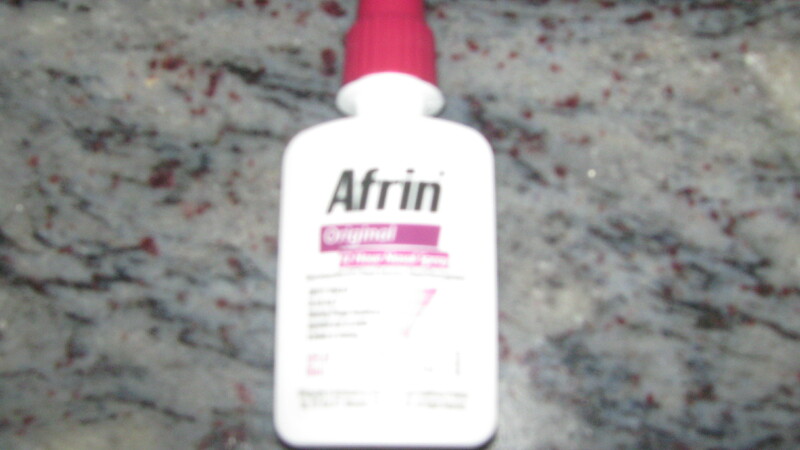 Has Afrin worked for me all the time? Not a perfect hit rate but pretty close. Trans-atlantic and trans-pacific flights can sometimes get tricky because it’s recommended to have a gap of 12 hours between successive doses. There have been several alarming close-calls when I forgot to pack it or the spray ran out. Thankfully airport pharmacies stock this critical (for me) product and many international airlines also supply sachet-sized nasal drops. I’m so paranoid about sleeping through the crucial last 2 hours of international flights that I’ve requested wake-up calls from stewardesses. Keeping your mouth closed, pinch shut both your nostrils. Slowly try to exhale from your nostrils (keeping the nostrils closed – this is the important bit). This has the effect of pushing the air inside – thus balancing the air pressure inside and outside your ears. In summary, don’t let your friends fly with Afrin — they don’t need it anymore.